Join us today for the last class in the intermediate Wicca series. SLPS meeting under sacred pine on Monday, September 21, 2015 at 9pm to celebrate the Fall Equinox. The crickets were in unison, the breeze calm as the altar was dedicated and the candles lit. Ganesh and Bast joined the circle of the ancestors and took in the offerings of pears, watermelon, juice and cookies. Mabon being the second harvest, the fruits were pulled from the Society Garden. 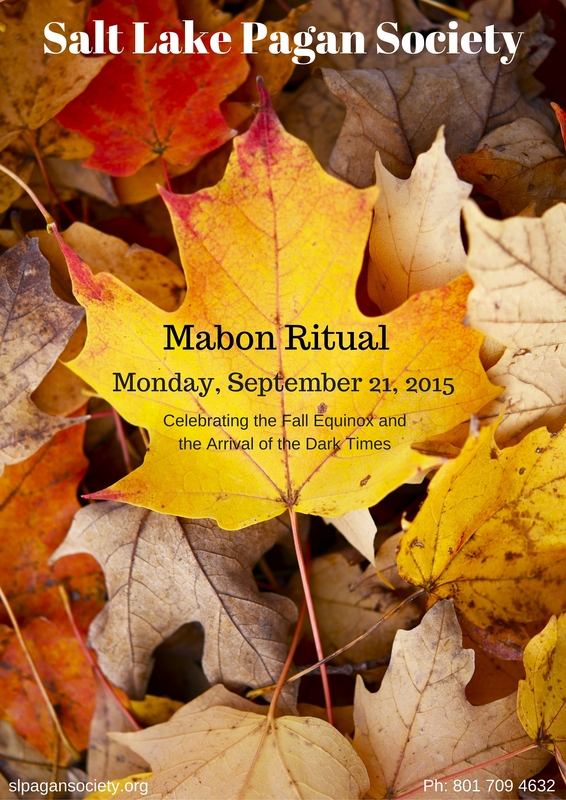 The ritual included music by Lisa Thiel, “Mabon” off the album Circle of the Seasons. Spoken word and poetry were performed in honor of the seaons. Bast and Ganesh came down and spoke to the attendees and accepted the food. He will open the way for individuals to succeed in their inner workings. Each person chose a habit to banish in the Mabon fire. The feast afterwards with the Gods was beef and barely stew with oreo bards for dessert. A bowl was left out for the Gods to enjoy. The Dark Times have arrived! The sun lessens in light and beings its descent to the dark lands till it will rise again at Yule. The 2nd harvest, season fruits now are pumpkin, gourds, berries, mushrooms, and pears. The Goddess will soon enter her Crone phase at Samhain, when the God dies. Ever been curious about Wicca? Don’t know where to get started with you altar, spells, and magic? 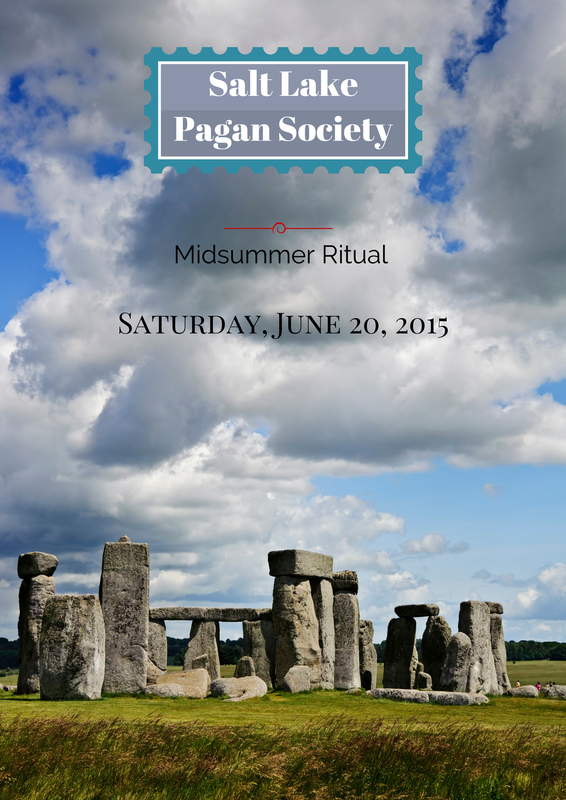 Come on out to our 101 class and learn the basics of Wicca, history, ritual, and how to use your altar! The text we will be using is “Wicca: A Guide for the Solitary Practitioner” by Scott Cunningham. Cost is $10: Pay through Paypal: slpagansociety@gmail.com or cash or card at the door. The new moon was upon us! SLPS met under the watchful eye of Artemis on Saturday, August 15, 2015 at 10pm, to meditate, set goals, and welcome back a member who had been away for the summer. The ritual was dedicated to the new moon goddess of the hunt, Greek Artemis. Her arrows will hit the target of our goals and let them wax full as the moon does. The offerings included Martinelli’s apple cider and chocolate, in honor of Piggy’s return from India. Midnight Moon chili was the after ritual treat for Piggy, being one of her favorite dishes.